Very Good. 256 p. 8pp colour plate section. 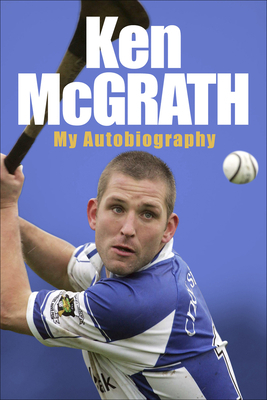 An icon in Waterford and beyond, Ken McGrath is one of only three players in the history of the GAA to collect All-Star hurling awards in three different lines of the field, and one of the only men in the last 50 years to play minor, U21 and senior hurling in the same season. New. An icon in Waterford and beyond, Ken McGrath is one of only three players in the history of the GAA to collect All-Star hurling awards in three different lines of the field, and one of the only men in the last 50 years to play minor, U21 and senior hurling in the same season. Num Pages: 256 pages, 8pp colour plate section. BIC Classification: BGSA; WSJK. Category: (G) General (US: Trade). Dimension: 154 x 233 x 32. Weight in Grams: 416. 2017. Paperback.....We ship daily from our Bookshop. New. 256 p. 8pp colour plate section.